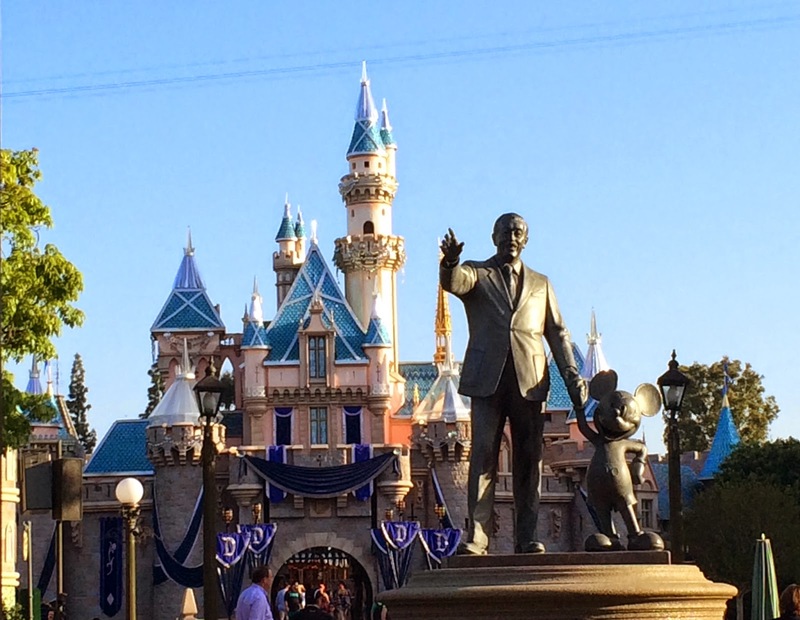 Let's face it, Disneyland gets pricey quickly! Especially if you aren't a Southern California resident and have to pay travel expenses...and hotel...and park entrance...and parking...But's it's all worth it once you pass the turnstiles and feel the warmth of the magic! I mean, how do you not get goosebumps at this sight? Now some of my Disneyland vacations have been on tighter budgets and some have been more extravagant. But, regardless, tickets always cost the same amount of money (especially if you are not a Southern California resident), and I'll always have to pay for a hotel. What I can control is the cost of food! Disneyland actually offers a variety of dining options at a variety of prices to match any and all budgets, from a larger budget, to a moderate budget, to a tight budget, to no budget! Now, anyone who tells you that all you get at Disneyland is a tough burger or cardboard pizza has not done Disneyland dining right! There are some *very* tasty choices out there! Here are our top choices for Disneyland dining on all budgets. (Just Disneyland, by the way,..if you'd like, I can cover California Adventure, Downtown Dining, and the Resort Hotels another time.) Enjoy! 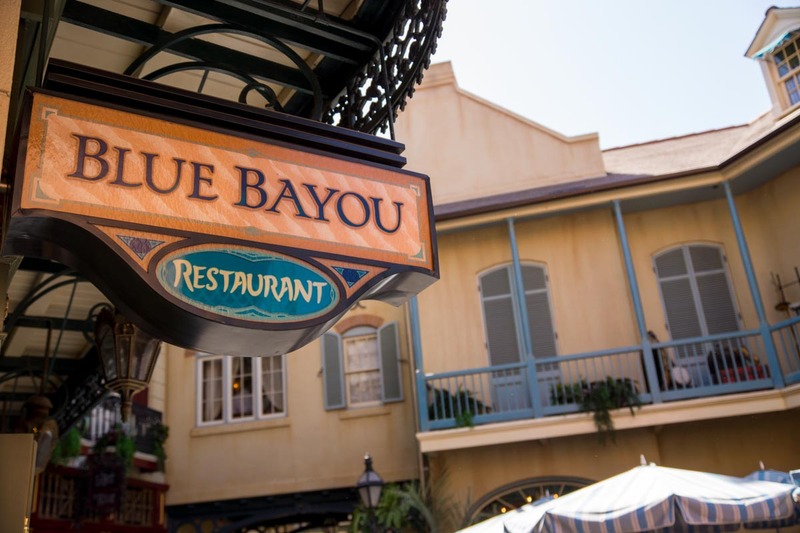 Blue Bayou Restaurant: This restaurant is inside Pirates of the Caribbean and features everything from seafood jambalaya, to pan seared salmon, to surf and turf. There are amazing food choices on their menu! (Vegetarian bonus: The vegetarian option is a marinated portobello mushroom with couscous macque choux, and it's amazing! Easily the best vegetarian option in the park!) The dinner entrees run from $30 to $45 per person, but no one leaves disappointed! Big Thunder Ranch BBQ: This "all you care to enjoy" family-style dining experience is for those of you who bring an appetite to the park! The dinner menu includes bbq chicken and ribs, smoked sausages, corn cob wheels, cole slaw, baked beans, corn bread, and includes beverages! (Vegetarian bonus: Let your waiter know if you are a vegetarian! BBQ veggie and tofu skewers are included with your meal upon request!) The dining experience runs $29.99 per adult and $12.99 per child. Plaza Inn: A Disneyland staple! And, though their vegetarian option (pasta with your choice of sauce) leaves much to be desired, park guests line up for the fried chicken platter. At $15.99, many people find there's enough on this plate to share! Bengal Barbecue: Beef skewers, chicken skewers, and veggie skewers at no more than $4.50 a piece! Very tasty...Just be aware of what you are ordering! Some of the sauces are milder and some have quite a kick! There are also bread sticks, fruit, and Mickey hot pretzels! You can bring in any and all food into Disneyland! I've even seen a woman pull a loaf of bread, lunch meat, a head of lettuce, and whole tomatoes and avocados out of her backpack and prepare lunch for her family! No joke! It's a-okay! While Disneyland offers a "picnic area" outside the park, no one minds if you eat outside food in the park! It is completely within the Disney rules. All outside non-alcoholic beverages are allowed in the park as well! As long as they are not in glass bottles, you are good to go! Many motels near the park offer free continental breakfasts! They are not only a great (and free!) way to start your day, but you can also grab an extra banana or orange to eat in the park later on during the day! These are not the only great dining options...Not by a long shot! We'd love to hear your top Disneyland dining picks! Let us know in the comments below!